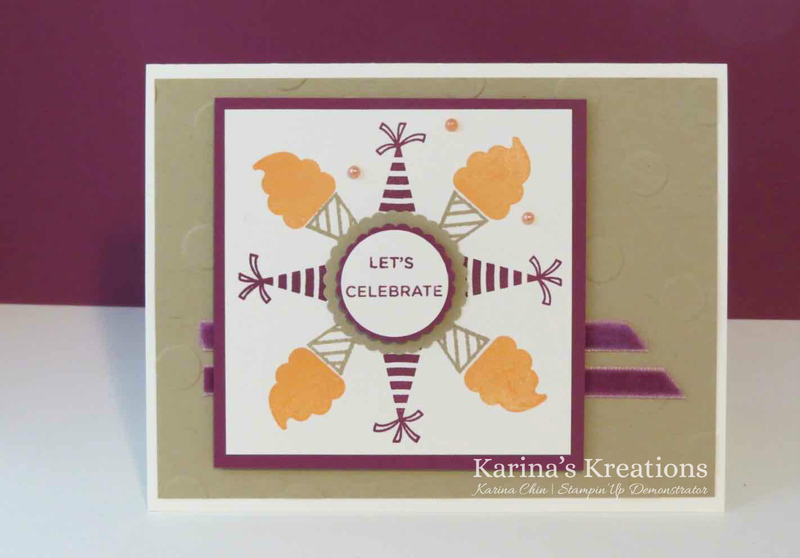 Karina's Kreations: Stampin'Up A Big Thank You Card! Stampin'Up A Big Thank You Card! 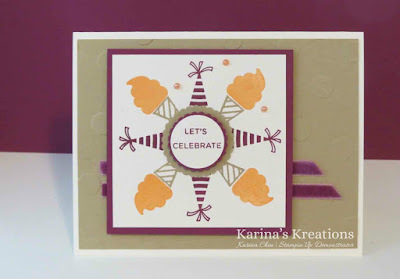 I have been featuring the Stampin'Up A Big Thank You stamp set and tomorrow I'll do a recap with a few more projects. I promised to make a video for the wreath card and made a quick one. It is not edited but I hope it will show you how to make a template for the stamparatus and make wreath cards. This is a card I made last night using the same technique. This is the new Broadway birthday stamp set which is my stamp set of the month. Here's the supplies for this card.